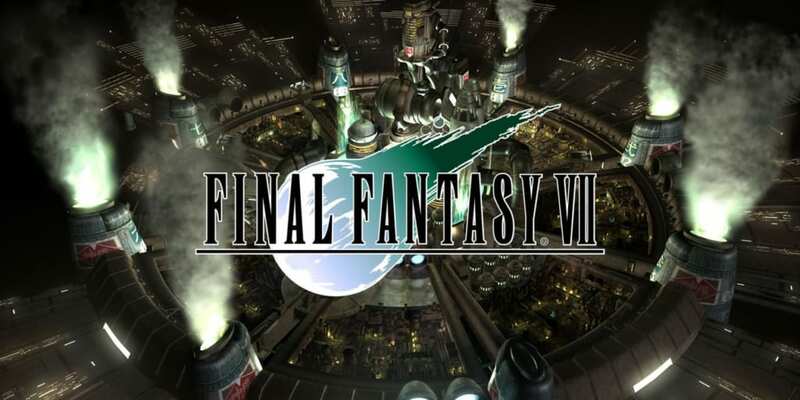 A complete walkthrough for The Final Battle in Final Fantasy 7 (FFVII,) including enemies encountered, obtainable items, and boss strategy guides. Proceed to the Planet’s Core. 1) Proceed to the Planet’s Core. When the fight starts, set up Big Guard and unload all of your high damage summons and enemy skills. Focus your attacks on the boss’ two tentacles before attacking its main body. When it is low on HP, the boss will start counting down to Ultima, its most powerful attack. The battle will end if you manage to survive this attack. 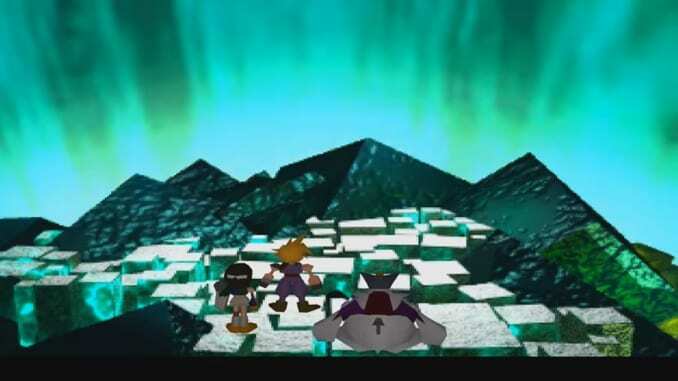 It is generally not recommended to use Knights of the Round on Jenova-Synthesis as doing so will add 60,000 and 80,000 HP to Bizarro and Safer Sephiroth respectively. Despite this, with the right strategy, you can still triumph over both with little problem. 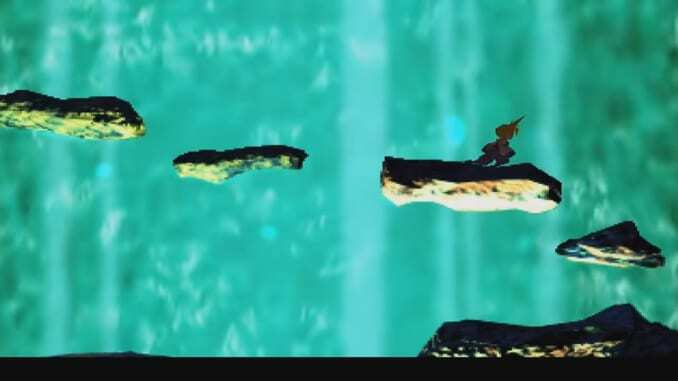 After the battle, you will be transported to the Planet’s Core for a cutscene. The final battle with Sephiroth will begin and is fought in three stages. Depending on certain variables, the battle with Bizarro Sephiroth can be fought with one, two, or three parties. Below is a summary of the conditions required to trigger each scenario and the details of each. The party’s lowest-leveled character is level 34 or lower. The party’s average level is 53 or lower. The main party attacks Bizarro Sephiroth’s Core (C) directly. The party’s lowest-leveled character is level 44 or lower. The party’s average level is 67 or lower. Must not meet any conditions in the one-party scenario. One party must destroy the Left Arm (E) and Right Arm (D) to expose the Core (C) to the main party. Jenova-SYNTHESIS the Ultima countdown at turn 12 or earlier. The party’s lowest-leveled character is level 45 or higher. The party’s average level is 68 or higher. Must have recruited both Yuffie and Vincent to the party. Must not meet any condition for the two-party scenario. One party must destroy the Left Arm (E) while another destroys the Right Arm (D) to expose the Core (C) to attacks from the third, main party. 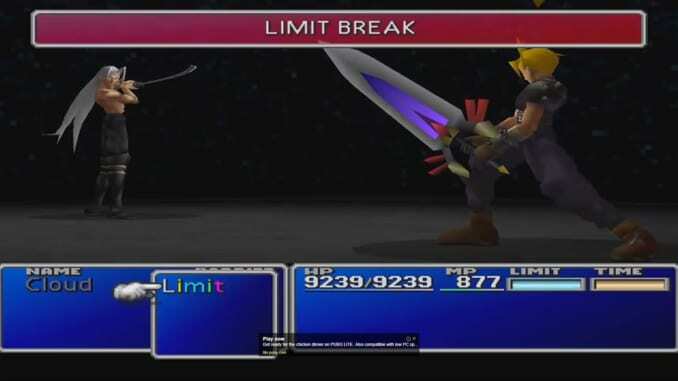 Before the fight, it is generally not recommended to spread out your equipment and Materia out between your characters if fighting with two or three parties. 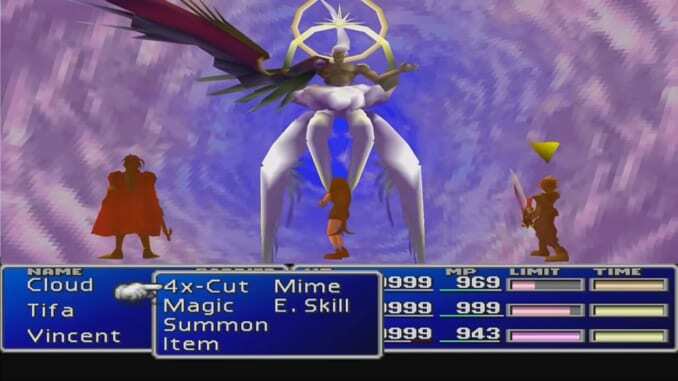 This is because the party that lands the fatal blow to Bizarro Sephiroth, the one attacking its core and your main party, will be the party to face Safer Sephiroth afterward. Always begin the battle with Big Guard and Regen to enhance your endurance. The best attacks are those that strike multiple targets at once. Powerful Enemy Skills, especially Pandro’s Box, are especially effective in this fight. This is the best time to throw out Knights of the Round to maximize your damage. 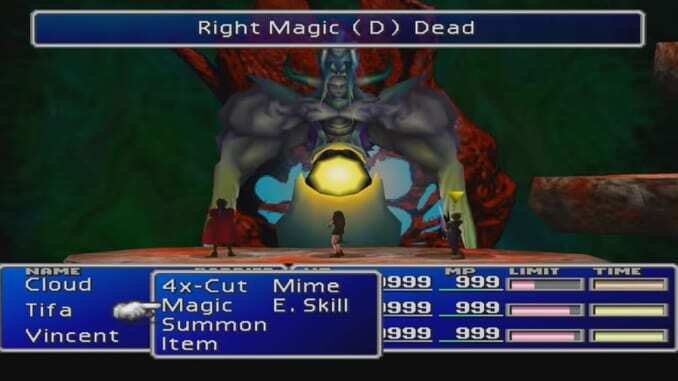 The boss has a number of powerful attacks like Shadow Flare, which can instantly knock out low-level party members, Pale Horse, which inflicts magic damage, Frog, Sadness, and Small to one party member, and Break, which inflicts Earth damage and a chance to petrify the target. Having Ribbons, White Capes, and a stock of Remedies will be useful for negating his debuffs. The White Wind Enemy Skill also helps if you have it. When the battle starts, the boss will buff himself with Wall. This has the combined effects of Barrier and MBarrier. Cast Despell to negate it. Throughout the fight, hammer Safer Sephiroth with your most damaging spells and summons when not healing or reviving party members. Do not forget to cycle through your own buffs like Big Guard, Regen, and Wall to mitigate incoming damage. Having obtained the final Limit Breaks of each party member helps to stack even more hurt onto the boss. Sephiroth’s most devastating attacks are Heartless Angel and Super Nova. The former reduces the HP of all party members to 1, so have healing spells and have items at the ready. Super Nova is the boss’ Limit Break which leaves the party with about 1/16 of their current HP. After the battle, you will engage Sephiroth one final time, though it is purely a scripted event that you cannot lose. 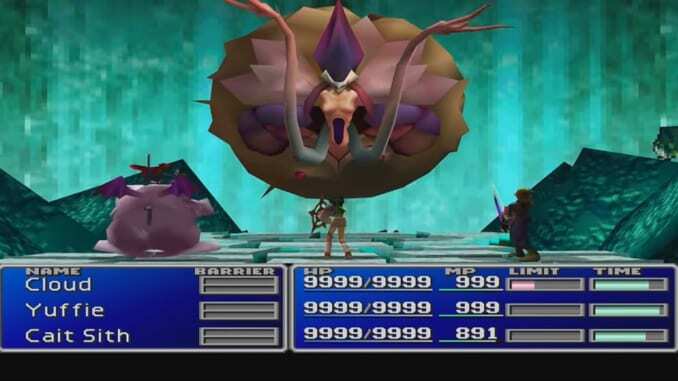 After defeating Sephiroth’s last form, sit back and watch the game’s ending.